Solvent free with non-abrasive granules for a deep clean, and moisturiser to care for the skin. Removes ingrained oil, grease and grime. Swarfega Orange Hand Cleanser Pump 450ml is rated 4.7 out of 5 by 34. Rated 3 out of 5 by MadBadRhino from Its ok Being swarfega I thought this stuff would be good, it does get grease and oil off your hands but strips all the moisture as well leaving hands very dry, and if your like me cracking up. Rated 5 out of 5 by abhaslaj from Good product at a great price The price difference to the 450ml bottles made this a no brainer. I'll just keep refilling the smaller container as it's more convenient to keep by the sink. 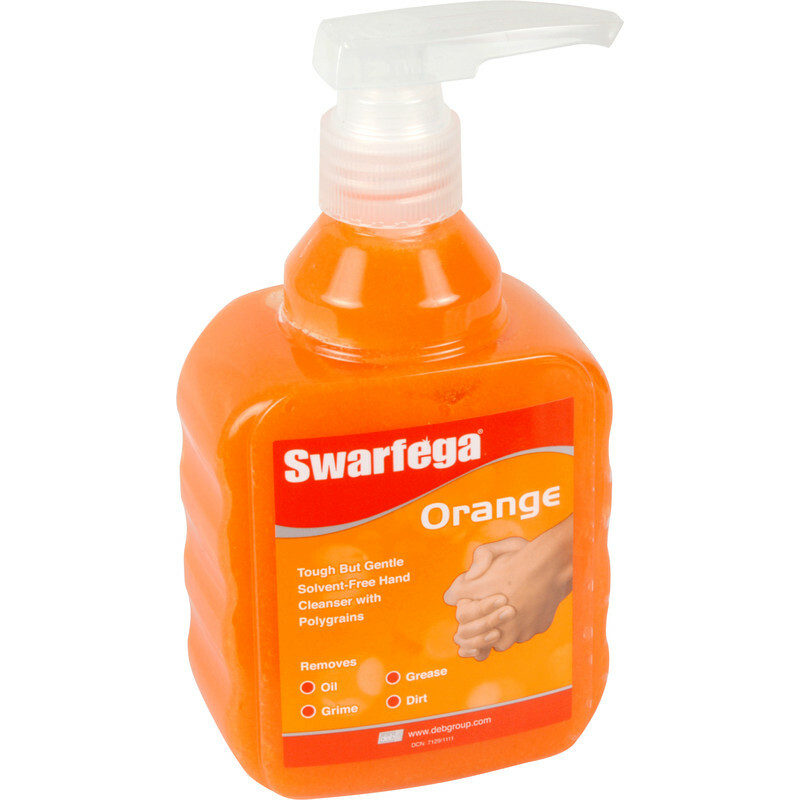 Rated 5 out of 5 by p0lly 377 from pleasent smell Have been using this swarfega for many years and find it excellent for my hands, removes dirt grime oil/grease etc with ease , Good price too for 4ltr. Rated 5 out of 5 by Pompey Boy from Great smell. Smelt of oranges and scrubbed the muck off my hands after gardening, good stuff.